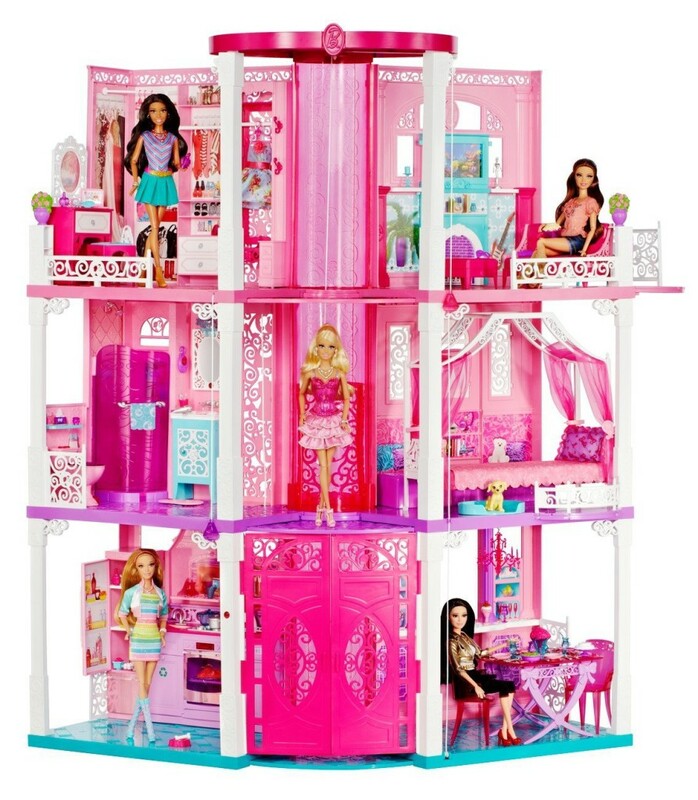 Top 10 Fabulous Best Dollhouses for Girls! Are you looking for a Beautiful Mansion Dollhouse for Girls? Are you looking for the best dollhouse for girls today? 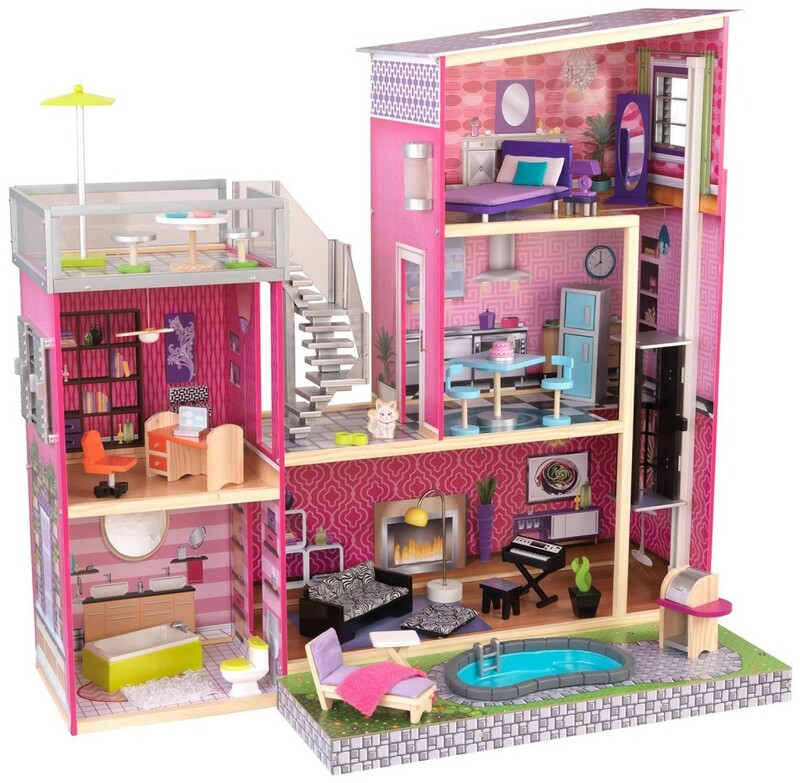 Here you are going to find the best dollhouses for girls and awesome miniature dollhouse kits too, so you and your girls can spend some quality time together having fun building together! I have always been fascinated by dollhouses and my sister and I had a huge one that we improvised out of our bookshelf! Nowadays there are hundreds of amazing and very realistic dollhouse miniatures, perfect for your little dollies! They look just like a real house or mansion! 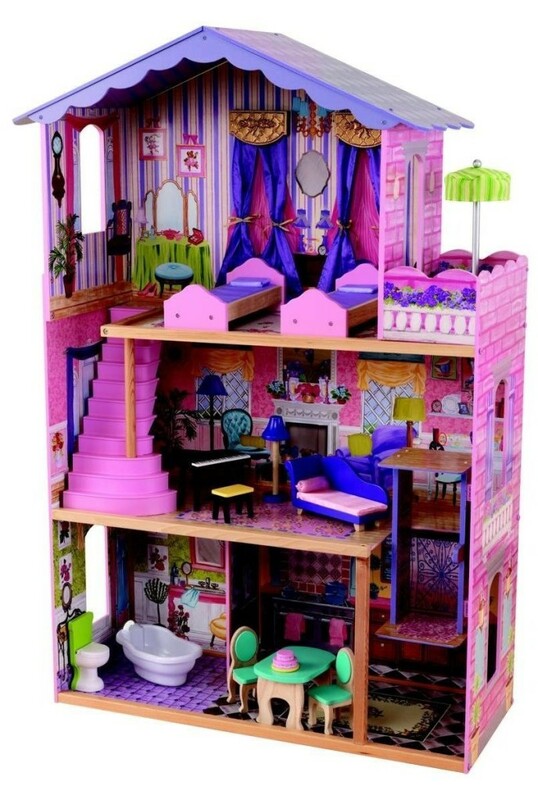 *Check out this amazing fancy dollhouse for girls with furniture, lights, sounds, music and even a swimming pool! 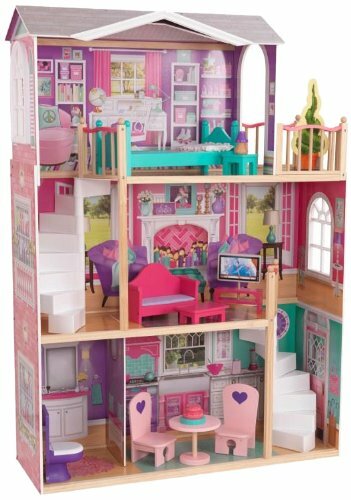 For smaller kids you can also get a cute dollhouse for barbies or cute ones that will come with furniture and all the accessories!. Needless to say these make one of the best gift ideas for little girls ever!! They look absolutely amazing in a girl’s bedroom and they will spend hours and hours having fun playing with their cute dolls! We bought beautiful miniature furniture and we created a spectacular 4-floor fancy apartment! One ‘floor’ was their bedrooms, the other one their living-room, another their play room and another a dining-room and kitchen! We literally ‘lived’ in our dolls world and every morning we would make our dolls ‘wake up’, have breakfast, go to school or play, then come back home, have dinner and go to bed! These are my fondest childhood memories! I will never forget our beautiful improvised ‘doll apartment’ and all the fun times I spent with my sister! 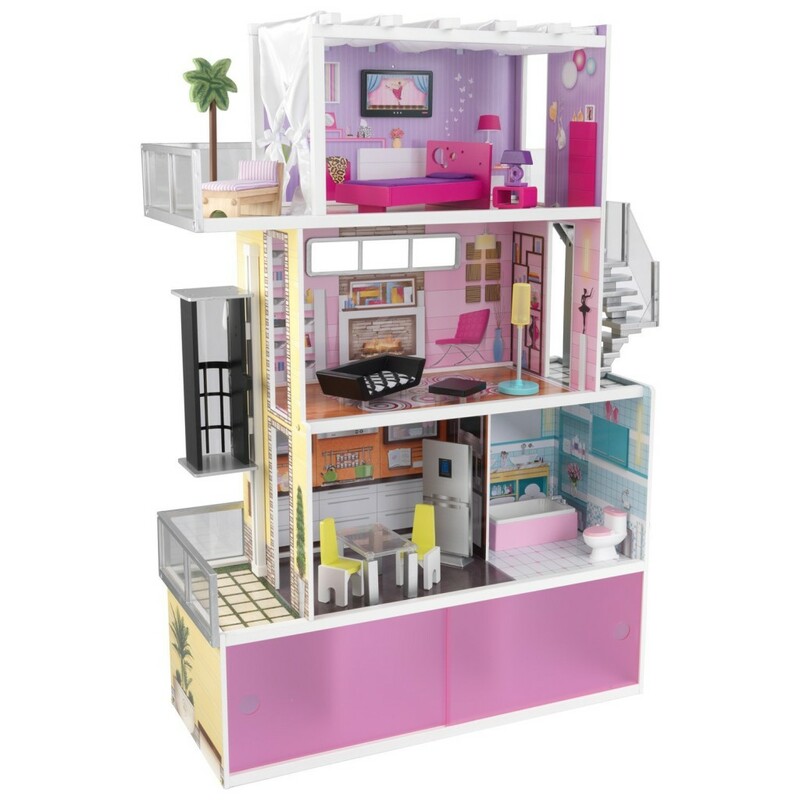 *Nowadays the best girl’s dollhouses already come with all the furniture and they are usually pretty tall and big, so more than one girl can play together! 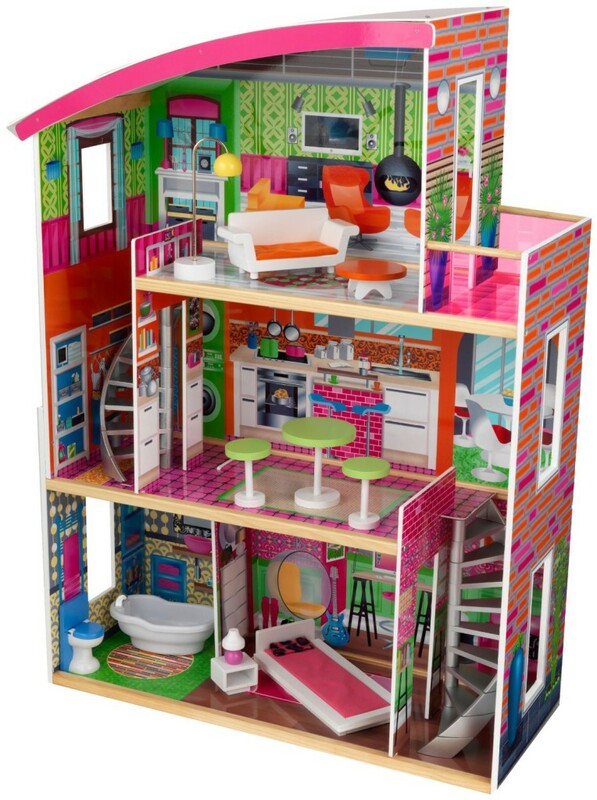 This cute and colorful Kidkraft dollhouse for example is 5 feet tall! Great gift idea from grandma to granddaughter too! Very Cute Dora the Explorer Dollhouse with Furniture! 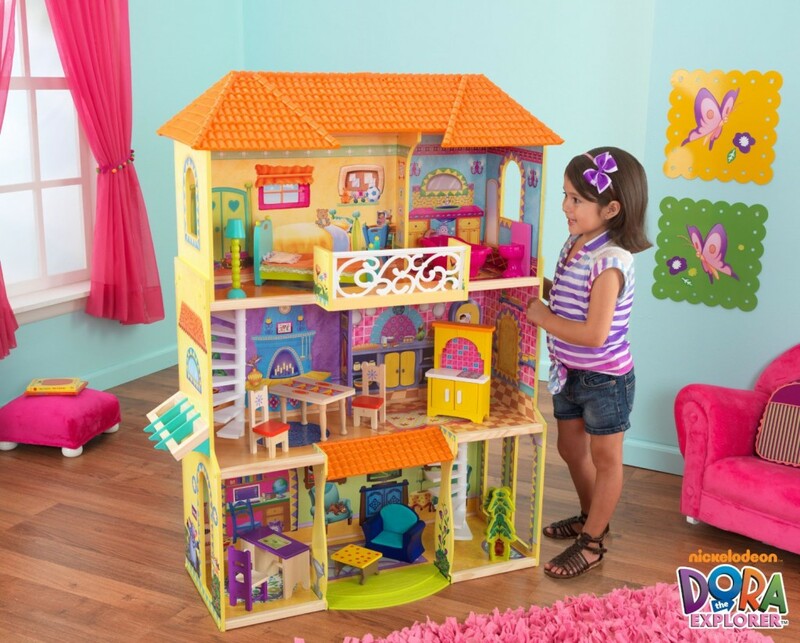 A cute, fun and very colorful Dora the Explorer dollhouse for girls that comes with 13 pieces of furniture! It is perfect for a 3, 4 or 5 year old little girl! If your little girl loves to play with her cute Lalaloopsy dolls, then she is going to LOVE getting this gorgeous Lalaloopsy wooden dollhouse! It is very colorful, very sturdy and pretty tall! 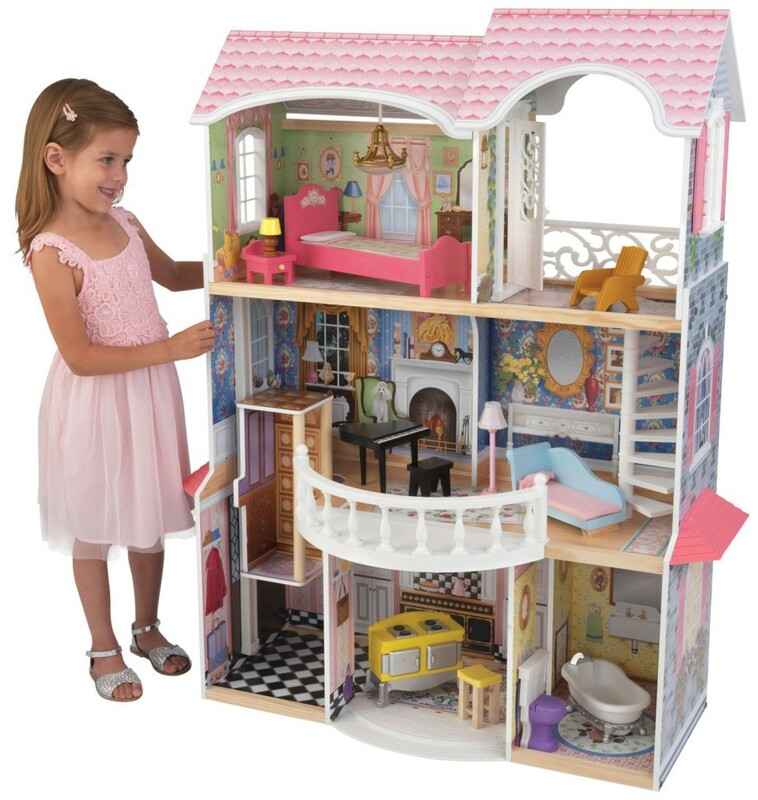 This is a gorgeous and very affordable Kidkraft girl’s wooden dollhouse with 11 pieces of furniture! It fits Barbie sized dolls inside and it also has large side windows! It is fun and easy to put together, it takes about 30 to 40 minutes. KidKraft My Dream Mansion Wooden Dollhouse with New Gliding Elevator! Another gorgeous wooden dollhouse for girls! It is very girly, all in pink and purple and it comes with 13 pieces of furniture including the beautiful canopy beds! Check out the awesome patio area! Not to mention the gorgeous pink spiral staircase! And the best feature is the gliding elevator! 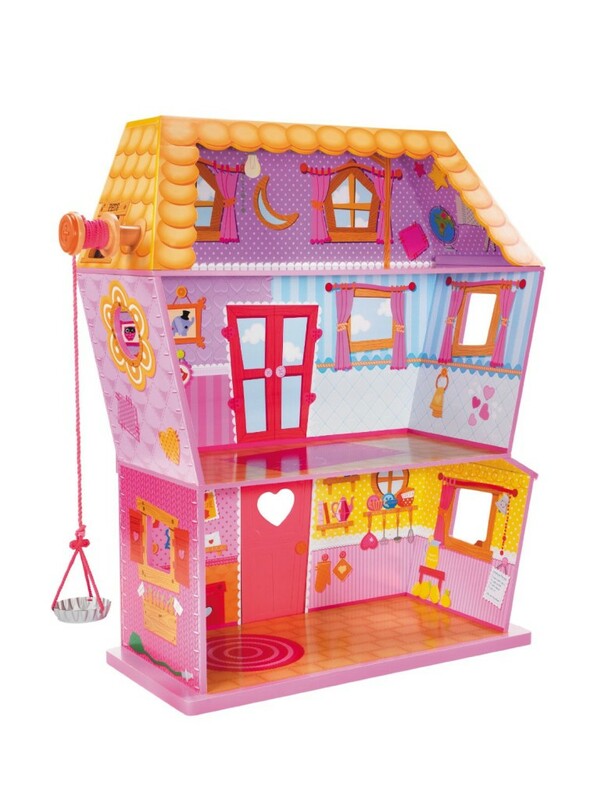 Another fun, huge and very affordable dollhouse for girls! Look how lovely it looks in a girl’s bedroom! (It kind of looks like the ‘improvised’ one my sister and I had when we were kids! KidKraft Magnolia Mansion Dollhouse with Lights and Music! What a fancy tall mansion dollhouse for girls with lamps that really light up and a keyboard that really plays music! Not to mention the toilet that makes real flushing sound! 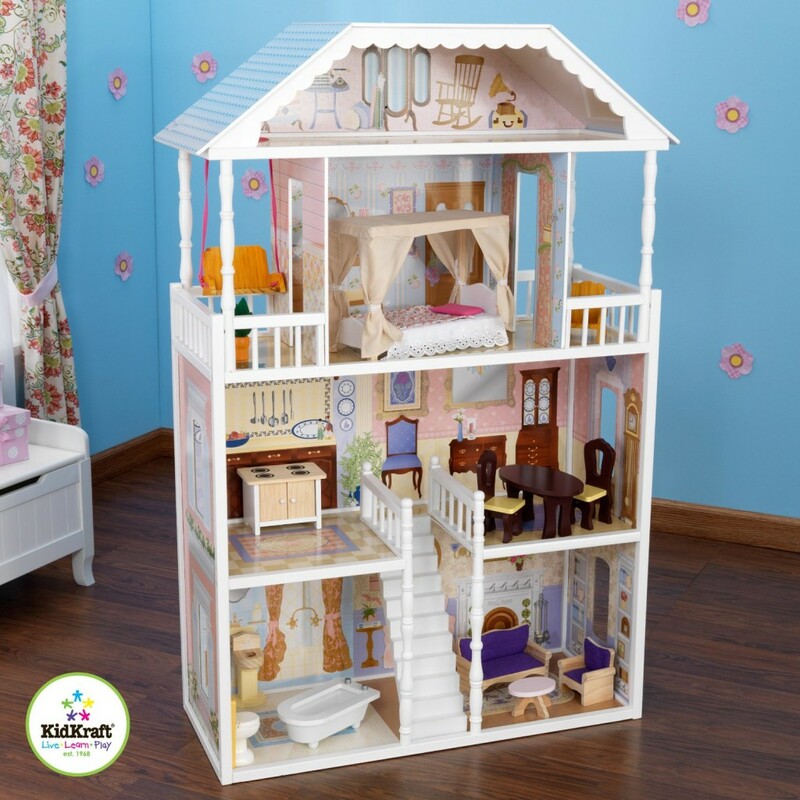 It is a beautiful and spacious dollhouse that also comes with 13 pieces of furniture! Barbie PINK Dream Doll House for Sale! This is a gorgeous pink 3-story Barbie dream house! It is also huge and very fancy! Barbie dolls have never been so lucky! They have a cool light-up oven and cool light-up mirrors! They also have their very own elevator, so they don’t get too tired using stairs! Your little girls will be having beautiful pink Barbie dreams! KidKraft Very Tall Beachfront Mansion Dollhouse with Furniture! This is a fabulous, tall, gorgeous, amazing beachfront wooden dollhouse for girls! It includes 14 pieces of furniture and it stands over 4 feet tall! There’s also a gliding elevator and a very nice outdoor patio! Overall this beach dollhouse is so much fun to play with, that you will find yourself playing with your girls for house and hours! 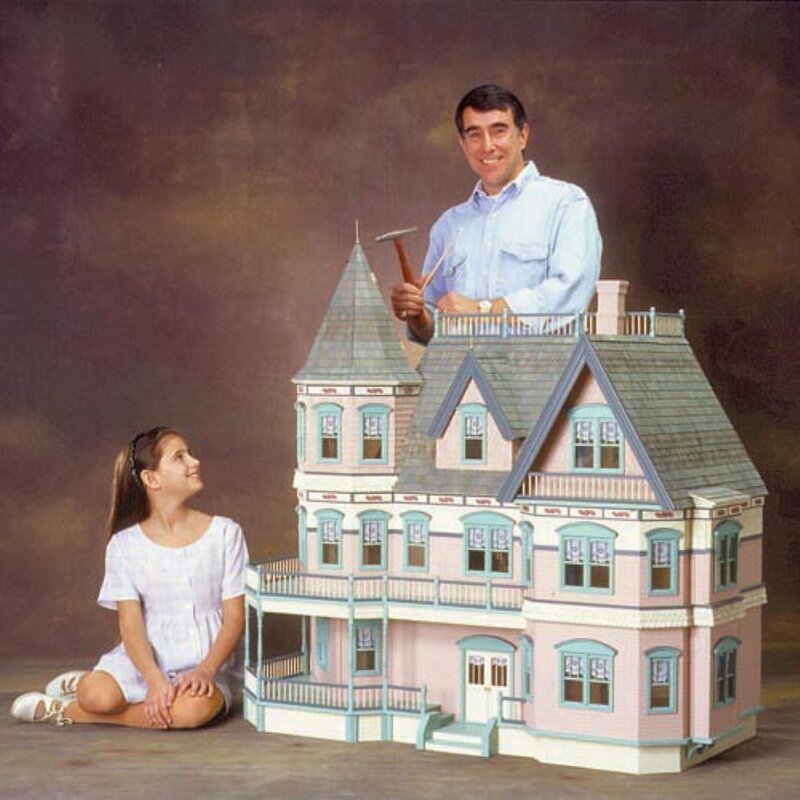 And last, but not least, here is a gigantic dollhouse kit! It is a huge Victorian mansion with 13 spacious rooms! It comes with all the pieces needed for construction. This is a fun pastime to have with your girls! They are going to love helping you finish their gorgeous dollhouse! Have fun playing with her! Amazing Outdoor Wood Cottage Playhouses for Kids!